Join the South Tampa Chamber for our monthly Chamber Cheers! There is no agenda for this event, just networking in a relaxed and casual setting to celebrate the end of the work week! Chamber Cheers is hosted at a different South Tampa Chamber member restaurant each month. 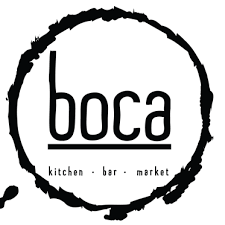 Boca's strong farm-to-table focus and prioritizing taste and service is what sets it apart. Boca's menu is based on the local food movement and sources ingredients from nearby farmers and specialty food purveyors wherever possible. They believe everybody wins with farm-to-table fare, from farmer to chef to diner. A high-quality, locally-sourced meal benefits all. Complimentary assorted appetizers, $5 select wines, cocktails and beers. A $25 gift card will also be given away. This event is held on the FOURTH Thursday of most months from 4:00-6:00pm. Bring a friend! - This event is open to members and guests!